As our last stop on the day we went to Tsuta and Wrong Ramen, we went to Kissako Uji Matcha Cafe. While this was no longer in Taguig, it was near Const’s workplace at Kapitolyo that he needed to pass by to. Beloved was the one who recommended this place as she’s been here before. Also, some sort of coffee or tea seemed nice, especially after the monstrosities we consumed in the previous post. This cafe specializes in matcha or green tea, incorporating this into their drinks, pastries and dessert. It’s pretty obvious that Beloved wanted to go here not because of the drinks or pastries, but because of dessert. Among their dishes were cakes and puddings, but I didn’t feel like having dessert, and my wallet was already pretty thin from the two previous ventures. I simply ordered their Matcha Latte (140 Php) and Beloved got their Matcha Parfait (195 Php). 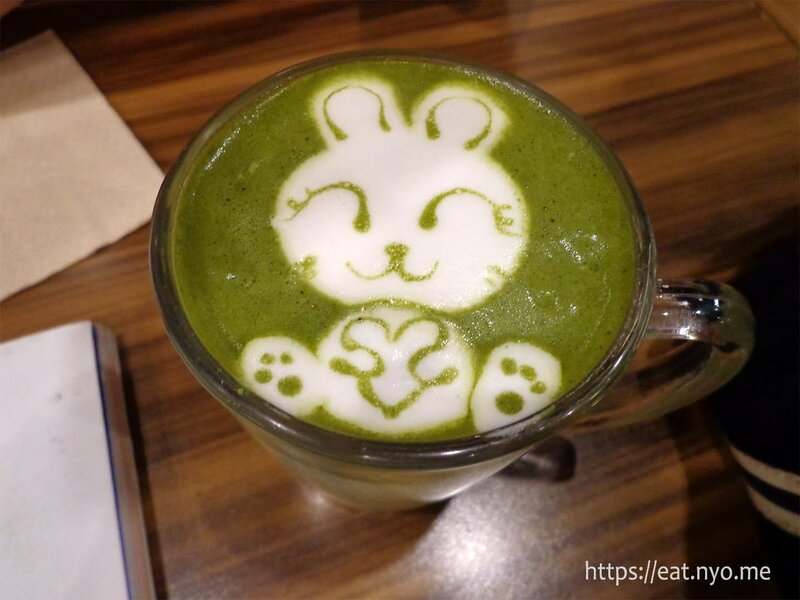 Their Matcha Latte had a cute bunny foam art on top. The drink was also a very deep green color, contrasting the foam and making it quite “Instagrammable”. As an aside, I’m born in the year of the rabbit and my main in Overwatch is D.Va. It’s actually been quite a while since I’ve drank matcha latte. When I do go to tea places, I usually get genmaicha and recently, I’ve just been having milk tea, usually assam. However, I can’t deny the matcha-ness of this drink. There’s just enough milk to mildly soften the nice, bitter matcha flavor, but it’s still definitely the dominant taste of the drink. The hotness of the drink also added to the already nice experience. For the price, I guess Beloved’s Matcha Parfait wasn’t half bad. 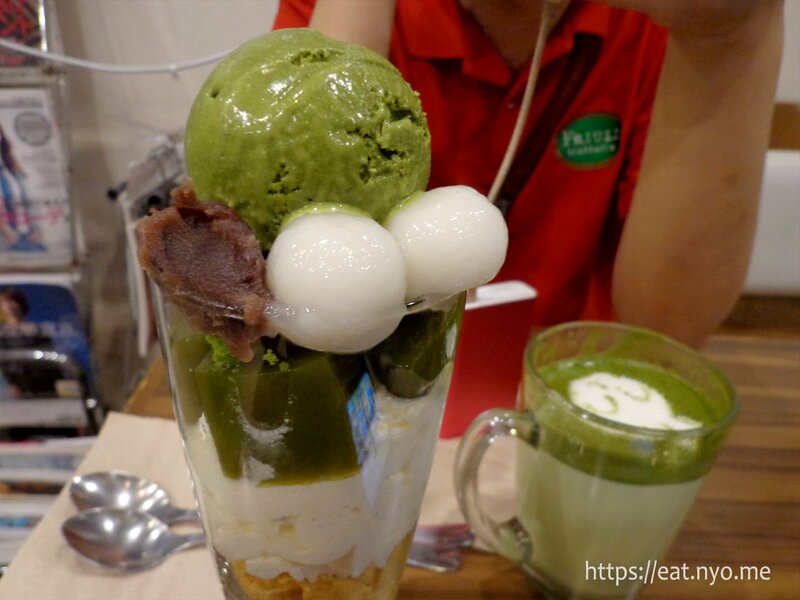 Topped with a scoop of matcha ice cream were various parfait usuals and unusuals in a tall glass. There were a couple of mochi balls, red bean paste, matcha jelly, cream, and corn flakes. Mostly sweet, what’s nice about this is the layers seemed to work individually as well as mixed with the other stuff. Admittedly, it was a bit hard to mix due to how tall and narrow the glass was. Overall, Kissako Uji Matcha Cafe was a nice punctuation to our adventure this day. From the very delicate (as described by Const) Tsuta to the very rich Wrong Ramen, the bittersweet (in a good, gourmand way) Kissako seemed to balance it out. If you’re looking for a nice dessert place and like matcha, this place is definitely worth a try. Not recommended for: Matcha haters.